Now one of the most popular and engaging casino games available, Blackjack originated from a French street gambling game and evolved over the years as it travelled. The aim of the game is to beat the dealer and make a hand of 21, or as close to 21 as possible, without going bust. As well as the traditional version that is played worldwide, you can also choose from a wide range of game variants such as Blackjack Switch, Progressive Blackjack and 21 Duel. When you play blackjack, whichever variant you prefer, you play against the dealer’s hand, so expect some fast-paced action. 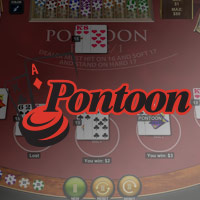 When you choose to play online, you benefit from convenience and choice when compared to a standard land-based casino. Online blackjack is available 24-hours a day, every day of the year, and you can enjoy around the clock support from our friendly and professional staff. We also offer a range of online casino bonuses that are designed to enhance your overall experience by helping your bankroll stretch further so you can enjoy more time at the tables. You can also enjoy a variety of other casino games, such as roulette, slots and craps – as well as some of the biggest progressive jackpot games in any online online casino. Originally called vingt-et-un, which translates as the number ‘21’ from French, this game was initially played using a single deck of cards. The game was available in casinos across France, and started a trend that evolved into the game we all know today. However, Vingt-et-un wasn’t popular like blackjack because the payouts for every winning hand were the same and paid out at even money. There was no distinction between a natural 21 and any other hand, so although it had some dedicated players, it did not reach the epic proportion of fans that online blackjack enjoys today. As travel opportunities increased and became easier, the opportunity for ‘vingt-et-un’ to reach foreign shores arose. When the game hit the U.S, a major innovation happened that made the popularity of the game explode. In America, the game changed so that players were now paid out at 3:2 for a hand that consisted of the ace of spades and a black Jack. This was called Blackjack and as popularity grew, the new name was adopted. Naturally, the game continued to spread and as it did so, adaptations to the rules were added, until multiple variations of blackjack became available. In some instances, the number of decks used increased, in others, rules were added where the dealer could peek at his cards, or players could switch their pocket cards for an alternative hand. There were also variations on how many times a player could split and when a dealer could stand. The biggest change happened when modern technology enabled the invention of the internet, and online blackjack was created. This meant the birth of progressive jackpots, multi-hand games, and turbo games – these were all made possible by modern technology. 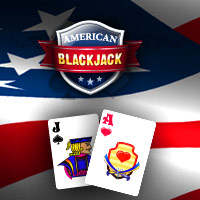 This meant that players could have access to a wide range of web-based blackjack games at a time that suited them, to fit with even the most demanding of lifestyles. Online casinos also provided players with the opportunity to gain extra rewards via comp points, VIP programmes and a variety of cash bonuses, thus improving the overall experience and giving plenty of rewards for becoming a new member and showing loyalty by returning to play real money games. For those that do not want to make a deposit, there is also a practice play option available, where you can enjoy the same great entertainment but using virtual chips only. When you play online casino games, it is good to know that the lower the payout for a winning combination, the better chance you have of hitting that winning combination. When you play internet blackjack, you will receive a payout of even money (1:1) for achieving any winning hand, a 2:1 payout for a winning insurance bet, and a 3:2 payout for a blackjack. The odds of hitting blackjack are lower than the other winning hands, but you are rewarded with a higher payout. When it comes to payouts, blackjack is considered one of the best online casino games to play because it benefits from a low house edge. You can also seek out a range of blackjack strategies that are designed to help improve your odds of winning by making systematic moves that reduce the casino’s edge. Using mathematical systems as their basis, these strategies have been developed to help you increase your winning potential over a period of time. 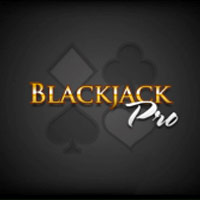 Note: Blackjack strategies vary and do not suit all players, so you might want to trial your chosen system in Practice Mode to get a feel, before playing Real Money games. If you are playing a progressive jackpot game, the jackpot is triggered randomly, which means it may payout again even if someone has just won. As we use a random number generator for all our online games, the jackpot cannot be predicted and so you cannot increase your odds of winning – the only way you can be in with a chance is to bet into the progressive side bet. Whichever type of game you prefer, the rules are basically the same – you play your hand against that of the dealer in an attempt to beat his hand, you aim to hit blackjack or a hand as close to 21 as possible without going bust. The fewer cards you use in your hand, the better. The cards are worth the value shown on the card, except for face cards which are valued at ten, and the Ace, which can be counted as either 1 or 11 in value, depending on what you require to make your hand the best it can be. You don’t have to announce what value your Ace is in your hand, and the values are interchangeable. So if you are playing your hand with the Ace as worth 11, and your hand could bust with the turn of your next card, you can automatically count the Ace as worth 1 and continue playing. 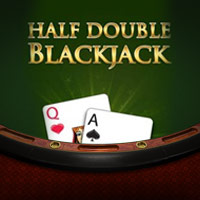 At the beginning of the game, you specify the amount you would like to bet amount and then hit Deal to receive two cards to play against the dealer. The cards are face up and the player goes first. If you want to try and improve upon your hand with an additional card, press the ‘Hit’ button. You can continue to do this until either you are happy with your hand – in which case you hit ‘Stand’ – or else you go bust (exceed a total of 21). Split: this means you can separate your pairs into two hands. Double down: this means you multiply your bet by 2, with the outcome dependant on a single card turn, which is played immediately after you double down. 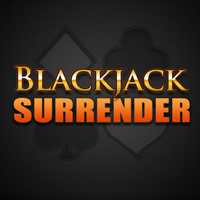 Surrender: if you choose this option, you give up half of your wager instead of playing the hand or take Insurance, an optional bet that protects you if the dealer hits blackjack. In this situation, it is considered a draw and your stake is returned to your bankroll. When you have completed your hand, the dealer will play their hand. You watch as he plays his cards and when his hand is over, the hands are compared and the outcome decided. 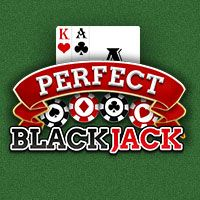 Our online blackjack games dictate that the dealer must draw to 16 and stand on all 17s. When the two hands are compared, any winnings due to you will be automatically added to your bankroll. 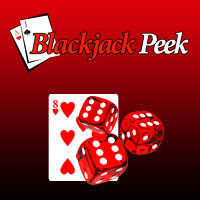 There are many Blackjack variations to enjoy online. These are just a few of our players’ favourites. 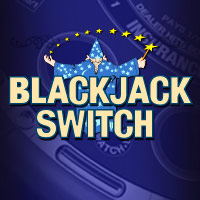 Blackjack Switch: Following standard rules, this version of the casino classic allows you to switch your initial two cards if you don’t like the card you’ve been dealt. This is free to do and does not require any additional bet, and gives you more control over your game. 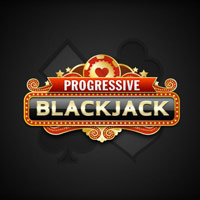 Progressive Blackjack: This variation is particularly popular because it has the option to pay into a side bet. This bet costs the same as your initial bet amount, and gives you the chance to play for the progressive jackpot. Progressive jackpots are not fixed, but accumulate as the side bet is played. You can see the amount that is currently on offer on the jackpot counter on your screen. The jackpot is triggered at random, and will then reset to a minimum amount, growing again as players pay into the side bet. Note: a progressive jackpot is linked across several machines, so the payout amount can rise pretty quickly. 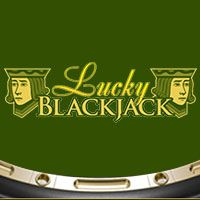 Blackjack Live: an exciting alternative option for players who like more human interaction, our Live Blackjack games provide you with a real dealer, streamed via video link to your computer in real time. You make your bets using our standard blackjack software buttons, but the dealer deals the cards and talks to you through the game, giving in-game statistics and a leaderboard. You can chat with the dealer and other players, making this an interesting option for players looking for something a bit different that utilises the very best in online and live entertainment. Double/Double Down: This is an extra optional bet, costing the same as your initial wager, and you draw one more card to see the outcome. It is only available at the start of a game when you have received your two initial cards. Hit: Press this button to receive another card to try and improve your hand. Insurance: An optional bet, only available if the dealer has an Ace showing, costing half of your original bet. This bet protects you if the dealer gets blackjack. You lose the insurance bet if the dealer does not get blackjack. Stand: Hit this when you are happy with your hand and do not want any further cards. Surrender: You can use this to give up half of your wager instead of playing your hand if you do not like the hand you have been dealt. Split: Use this button to split a pair into two hands. Some games allow repeated splits, so it is a good idea to read the rules specific to your game type before you play. To be able to play our online blackjack games for real money, you need to open a Real Money account by clicking on the Play For Real Money button and inputting the necessary information for security and identification purposes. Once you have completed the required fields, you will need to add some funds via the Cashier to be able to play our real money games. When you play at Slots Heaven, you can choose to play for Real Money, or in Practice Mode with virtual chips, and you can also opt to download our software or play in your browser. To play in your browser, simply log in and select the game you wish to play. You gain instant access and can play using any computer, including Apple Mac. For the best casino experience, with over 300 games and more progressive jackpots, download our software, then log in and play. You will enjoy unbeatable connectivity and game speed, as well as clearly displayed payouts and lots of in-game special features. If you are a new player, you are also eligible for an exclusive Welcome Bonus of 100%, up to a maximum of $/£/€100 (plus 200 spins). If you would like to benefit from this bonus, simply accept your bonus in the pop-up window when you make your initial deposit and we’ll double the amount you deposited, up to $/£/€100 in total, right away. Here are a few of the most common terms used in blackjack to help you understand the game and navigate our software. You can also see a list of the games buttons in the section above. Bust: If you exceed 21, your hand is ‘bust’ and you lose. Bonus: A special offer provided by your online casino that offers you extra cash for your bankroll to enhance your overall casino experience. Bust Card: This is a card that makes your hand exceed 21 and lose. Practice Mode: This refers to games that do not require a cash deposit from the player as they are played with virtual chips. Real Money games: These games give you the opportunity to play for real cash and a deposit is required before you can play. Wager: Another name for a bet.